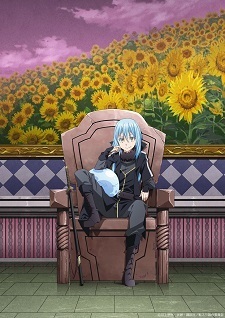 The official website for Tensei shitara Slime Datta Ken TV anime announced a sequel on Sunday. It is slated for next year. Fuse has been writing the story on the Shousetsuka ni Narou website between 2013 and 2015. Micro magazine has been releasing the light novel series with illustrations by Mitz Vah since 2014, and thirteen volumes have been released as of September 2018. The TV anime is based on the manga series, which is based on the light novel series. Ten compiled volumes have been released as of December 2018. The main story has been ended in 23rd episode, which aired on March 11. 24th and gaiden episode will be aired on March 18, and 25th and free episode will be aired on March 25. An OVA was originally going to be bundled in the eleventh volume of the manga series released on March 29, but previously announced to delay the release, which will be bundled in the thirteenth volume of the manga series, to be released this December. Wonder if it will be better. After ep 14 the anime was so boring..
Yeah they have so many sources from the novel so i was sure there will be a second season, but heck i am pretty surprised it's being announced so soon unlike what i've expected.. Cool to know. Given the one year time frame, they have time to work with this. That, my friend, is such a great news ! It was kinda expected since since the anime worked nicely (did it boots LN / Manga / Goodies sellings though ?) and had a decent fanbase. Just wondered about this. Well, that was expected. Sequel announcement for a two-cour show before it even finished airing? I've never heard something like this. Really gotta watch it soon, must be crazy popular. I'm so glad this is getting another season, I hope it'll get even better. Knew it would get a second season soon. Like many people before me said, the second half of the first season was weak, I hope it gets better from here on again. Wow this is amazing news. I expected a season 2 eventually but I thought we'd have to wait for years to let the manga get ahead. I haven't watched this because I thought we would never get to see the whole story (similar to Re:zero) but now I might change my mind. Re:Zero sold well, the problem is lack of LN material to adapt a second season. By now, I am almost 100% certain that these isekai LNs are not for me. Some start strong then become dull (Slime, Konosuba etc. ), some start with new ideas then become trainwrecks/utter garbage (Gate, SAO). Probably will never watch another one ever again. While I do still like Konosuba (also Maou-Sama is sort of a reverse Isekai, like Re:Creators), I agree with the general feel. Isekai LN is becoming the new Long-Running Battle Shounen, a oversaturated by common place tropes genre. Sad, because Rayearth, Digimon, and other, older Isekais, were very good in storyline and world building. Most important, they had the neat idea of youngsters MCs developing maturity and responsability after facing many hard trials together. Now is mostly about otakus getting level 99 and 45865968909081792 skills in episode 1, and soloing things easily, all while getting an harem, despite having the personality of cardboard. BLESS ALL THE ANIME GODS! I AM SO HAPPY! HOLY MOTHER OF ANIMATION! Now,seeing as they have pretty much covered the end of current published manga chapters,So the question is will the second season cover from LN only or will the manga would have published enough chapters by then for adaption? It will be LN only because the manga is monthly.